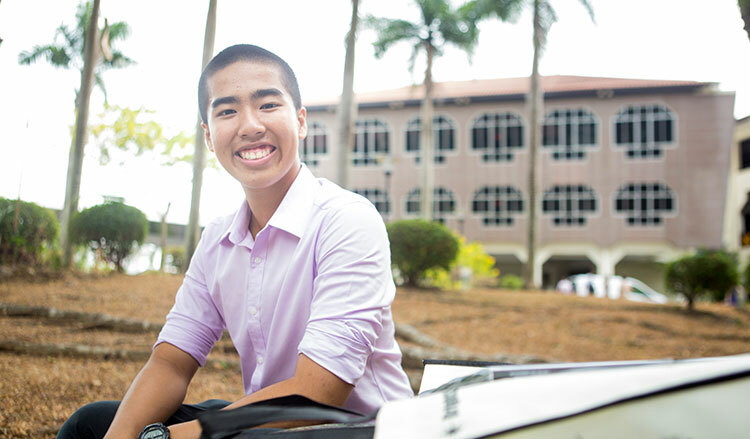 We went down to Hwa Chong Institution (HCI) on the day the 2014 ‘A’-Level results were released to find out how graduating student 19-year-old Yau Xuan has been groomed by HCI into an upstanding young man. He now looks forward to being further developed, nurtured and supported through a career in the Singapore Public Service. [blurb] A sense of exuberance soared through the atmosphere in Hwa Chong Institution (HCI) as the ‘A’ Level results were released earlier this year. As one of the top Junior Colleges in Singapore with a reputation for academic excellence, it was no surprise that many HCI students find themselves well-pleased with their results. 19-year-old Yau Xuan, who attained straight ‘A’s in the H2 Biology-Chemistry-Math-Economics combination and also completed a H3 paper in Pharmaceutical Chemistry, says, “I was determined to score ‘A’s to make my parents and myself proud, and also my Economics teacher, Mr Andrew Tan.” He describes the HCI culture as a warm and ‘family-oriented’ one, and muses over Mr Tan’s dedication and effort in printing and vetting his essays in the days leading up to his ‘A’ Levels. Yau Xuan, who intends to pursue Natural Science in the University of Cambridge, UK, looks forward to the experiences that await him overseas. “I can’t wait to be exposed to their culture and their way of life,” he says smiling, confident that the exposure and the chance to live independently will grant him an edge over his peers in the working world. One other individual whom HCI would be proud to call one of its own is Chua Ding Quan, who also scored straight ‘A’s and who constantly seeks the thrill and adventure in the currents of life. “I relish the fact that the future is uncertain,” says Ding Quan, who intends on pursuing Economics, where he can further analyse the effects of changes in many economic variables. Yau Xuan, who has been offered the Singapore Government (Open) Scholarship with the Singapore Public Service, wishes to involve himself in a career that allows him to “give back to the community”. He was mostly drawn to the flexibility and variety of options available with the ‘Open’ scholarship, and by the fact that he will be deployed to an organisation according to the needs of the community and the civil service.